Gazelle The Horn > Gazelle News > Did You Know: We Buy Broken iPhones! Did You Know: We Buy Broken iPhones! Lonely, broken, and left untouched. The old cracked or broken iPhone in your drawer shouldn’t be left as a heartbroken reminder of what it once was – not when Gazelle is willing to show it some love and offer you funds for it, too. 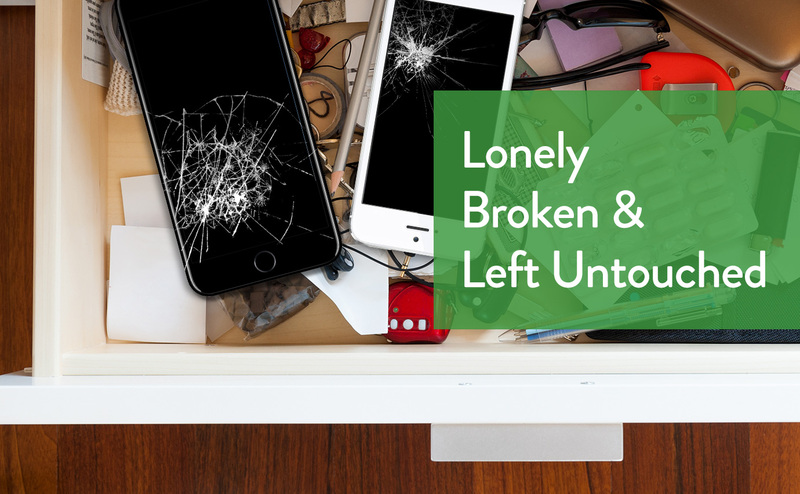 We buy broken iPhones, among other damaged devices on our trade-in list. This means we’re ready to make an offer on your cracked iPhone 7, broken iPhone 6 Plus, or other acceptable models. Even the iPhone hidden deep in your junk that hasn’t turned on in over a year could possibly be an extra $50 in your wallet (depending on the model). Our simple online process makes it a cinch to trade in your functioning, cracked, or broken device. Simply visit our trade-in page, select your device and complete the steps to see what your unused phone is worth. Rather than spending money on iPhone repairs, you could be making money by selling your broken phone at Gazelle.com. Give your old iPhone the second home it deserves while giving your wallet a treat of its own. Start trading today.